SEND YOUR THOUGHTS ON SEA BASS! The NJOA implores you to write in support of a longer sea bass season as fluke season closes. Please Read and Send this letter or your own thoughts to the address below- as well as to all the N.J. Congressional Delegation. Black Sea Bass is the poster child of regulatory backwardness and is an example of a complete lapse in government regulatory timeliness! Until just recently , the Black Sea Bass population has been commonly recognized by everyone with any on the water experience [ except the National Marine Fisheries Service ] as biomass growing in unprecedented numbers and moving northward in its’ range. 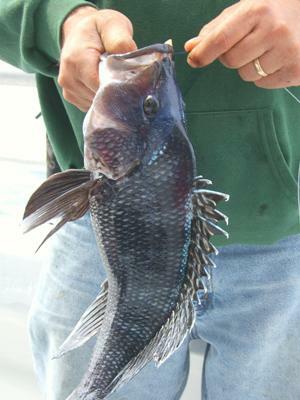 Recreational anglers in both the Mid-Atlantic and Northeast – especially in New England – started to more frequently target black sea bass because the previously popular cod fishery was at an all-time low. And yes, admittedly, black sea bass harvests have grown most significantly during the years between the last and most recent stock assessments . Simply put ….it’s because they are there and fishermen tend to catch the most abundant and available species! Yet, it took almost eight years for NMFS to recognize and confirm what fishermen had been reporting and they now document that this fishery is currently over 130 % above their scientifically unsubstantiated and utopian population goal that had been set as a recovery benchmark many years before. Note… that during all that time, when the NMFS numbers and corresponding bag limits and seasons were completely punitive , anglers were burdened with unreasonably restrictive regulations and shortened seasons based on inaccurate science. And this past year, after concluding that the population was in fact much higher than they previously recognized, the same anglers were rewarded with shorter seasons and smaller bag limits because questionable government catch surveys indicated that the recreational community caught too many in the previous year! To add insult to injury, no attempt was ever made to pro rate and to reward the fishermen for all those years that the recreational community lived with limits and seasons that could have been, and should have been, much more liberal! Simple logic would dictate that the 130 % stock level wasn’t reached in one year, but in fact ,was based on years of significant population increases. 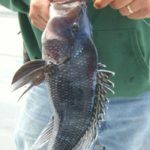 I’m asking for your help to convince the NMFS that they can allow more liberal seasons and bags limits on Black Sea Bass with NO adverse harm to the biomass . Most importantly, this will greatly help the costal businesses and their recreational angling patrons here in New Jersey who will very shortly be facing weeks with no reasonable fishing opportunities, or reason to fish. NMFS needs to allow a small emergency allocation of Sea Bass between the time when the summer flounder season ends (Sept. 5, 2017) and the fall Black Sea Bass season begins (Oct. 22, 2017). Recreational angling groups have been lobbying NMFS for a small interim quota that would allow anglers a Sea Bass bag limit during the time period that is currently slated to be a closed season. Government agencies need to be responsible for both the health and sustainability of our natural resources as well as the livelihoods of those of us who earn a living based on accessibility to those public resources. Moreover, federal laws pertaining to and dictating how recreational fisheries are managed need to be amended to take into consideration the limitations and timeliness of the recreational data collection programs and their inability to be used for the fair and equitable enforcement of annual catch limits on our sector. Regulations need to not only support marine biomass health but, as in this case , when a population has recovered to an historical all-time record , regulators must consider and reward the sacrifices made by recreational anglers and fishing related businesses! Sales Manager | Folsom Corp.